Array is the premier provider of in-store marketing services for the world’s leading retailers and brand manufacturers. We start with exceptional strategy and design. Then, using a variety of materials, our skilled engineers and production staff apply the latest manufacturing technologies and techniques. The results are displays & fixtures that win top industry awards and praise from brand marketers and retailers worldwide. In 1981, it all began with a dream. Brothers John and Bill Fielding wanted to build something of their own. Each brother came from his own unique background – John a professional hockey player and Bill a successful Chartered Accountant. The time had come for them to venture into the entrepreneurial world! But what would they do, where would they conduct their business and how would they turn it into the ultimate success? With $4,500, and plenty of motivation and determination, John and Bill founded IDMD (originally an acronym for Innovative Designers and Manufacturers of Displays). Focusing on advertising specialties, the two brothers ran IDMD out of a 5000 square foot location in Scarborough, Ontario, Canada where they distributed promotional items such as coffee mugs, key chains and bottle openers. 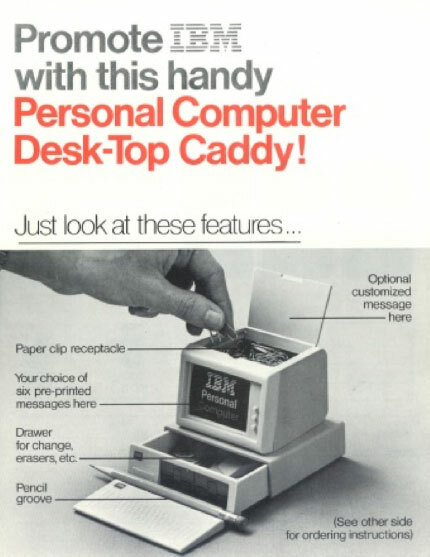 One of their hottest selling items was a miniature replica of an IBM personal computer made into a desk set. In fact, the demand was so great that John and Bill decided to purchase their first injection molding machine. They’d broken into the manufacturing sector! It wasn’t long before new and diversified market opportunities began to present themselves. Their business grew at a rapid pace as they entered the pharmaceutical and cosmetics industries, and began to specialize in the manufacturing of merchandising and display systems. In 1999 Tom Hendren joined John and Bill from Campbell Soup Co. as a partner in IDMD. In 2000, John, Bill and Tom partnered with a privatized firm and IDMD became Array. In 2008 Tom was appointed CEO and he has been instrumental in the success and growth of the company, including establishing Array’s global capabilities and manufacturing alliances in China, Mexico and Western Europe. Today, with over 750 employees, Array is honoured to be one of the world’s leaders in the design and manufacturing of merchandising solutions. We will always maintain an ongoing commitment to innovative design and uncompromising standards of quality and manufacturing expertise in all that we do. Array is and will continue to be progressive, not only in its growth patterns, products and operations, but also in its dynamic approach to the development of its most valuable resource: PEOPLE. Do you want to become a part of the Array team? Check out the most recent job opportunities in our Careers section and apply online.